Soundcheck: Engineered clash of the old and new? No longer do you turn to your television to find out what’s happening with your favourite artist – you just go online. 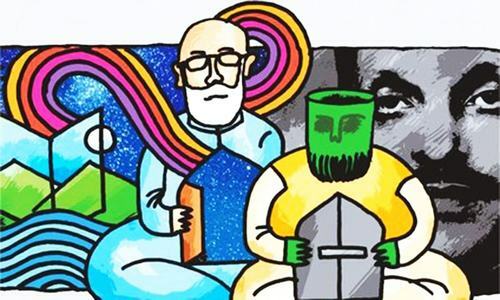 A ‘spat’ between two generations of rock artists in Pakistan – one a living rock legend, the other the rockstar of the moment – has gone viral. In a ‘leaked’ (ahem) mobile phone video Ali Azmat is seen making fun of those singers/musicians who later pursue an acting career when just being in the music industry makes it hard to make ends meet. He mentions Umair Jaswal in particular. 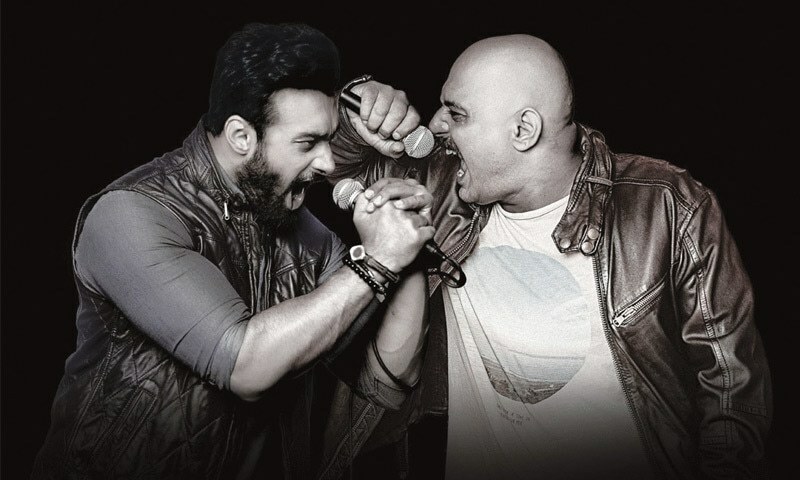 Ali Azmat and Umair Jaswal, two of the biggest rock stars of our time are locking horns. They did at first online, through a series of ‘leaked’ videos, and they will very soon on stage, so we can judge for ourselves as to who has the bigger… voice. But is everything really as hostile as it seems? This sound suspiciously like a corporate-constructed spat if you ask me. And now we have Soundclash – a multinational-sponsored concert where the both of them will face each other off to see who will ‘win’. Now this is an easy one. It will be Ali Azmat. I’m not questioning Umair Jaswal’s abilities as a performer or as an artist – I’ve seen him live in concert at a time when the band he was a part of was not even considered mainstream. Even during the worst of times, and well before he appeared in Coke Studio, he had an incredible ability to attract a crowd of some of his most ardent fans and keep them entertained throughout, which is nothing short of impressive. But I’ve also seen what happens when Ali Azmat makes an unexpected appearance at a concert featuring some of the industry’s best and I’ve seen how the crowd responds to him. Everyone and their brother/sister get up. Everyone sings along – even those that didn’t before. Azmat’s songs didn’t just come out and become popular now; they’ve been the soundtracks for several generations. And continue to be popular with the current one. You don’t ‘love’ the music that Azmat has been a part of, you’ve lived through it. This one is a no-brainer … or so it seems at first. Sometimes even legends can fall to their once-biggest fans. Case in point is the Rio Olympic 100m butterfly race in which Joseph Schooling beat his childhood idol Michael Phelps …. You’re obviously trolling each other, right? UJ: “I did. I did grow up idolising Ali and I’ve been covering his songs music on stage for almost 10 years now. But there is something I disagree with, when he said he’s not impressed with the new generation of musicians. What can we expect in the Soundclash? Finally, most importantly, what do you really think about musicians who turn to acting? UJ: The first thing that comes to mind is Ali and his role in Waar [laughs]. He’s doing well for himself. So I think all musicians make good actors I guess! Good one. And good luck!